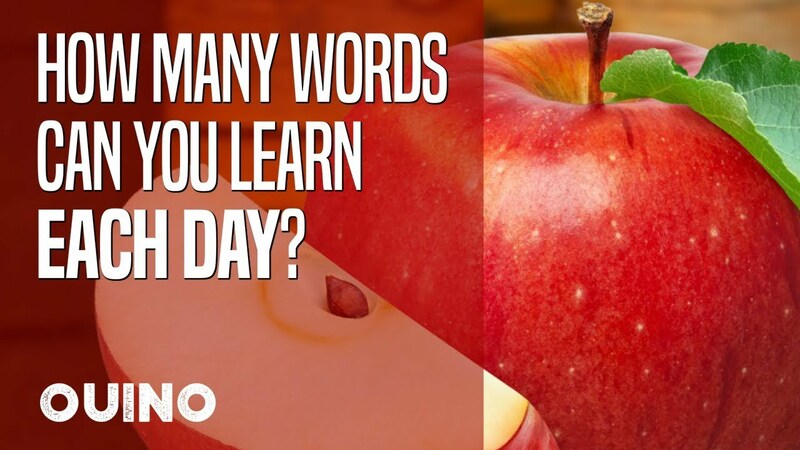 How Many Words Can You Learn Each Day? People often want to know how long it takes to learn a language. Unfortunately, this question is almost impossible to answer clearly. It’s like asking how long it takes to learn how to play the guitar. There are simply too many factors that come into play to give a concrete answer. What we can do is break down the goal into smaller bits of information. Instead of asking how long it takes to learn a language, let’s narrow it down to what you can learn in a single day and let the days add up. The answer is still not so black-and-white, but it’s certainly more manageable. But in order to be able to identify how many words you can learn in a single day, we must first be clear on what is considered a word. This may sound obvious, but what about variations, conjugations and synonyms? What if the word has different meanings? In this post, we’ll go through the different types of words and explain important concepts to help you make great progress. Vocabulary words are often the easiest words to learn; “apple” is one word, and “car” is another, there’s no debate about that. Sure, there may be some variants in some languages, but it’s fairly straightforward in most cases. These types of words can be understood with a simple image or translation without the need for extensive examples in different context. A vocabulary lesson in Ouino containing 15 vocabulary words will take the average learner about 22 minutes to reach the Fluency Award in the hardest exercise. This means they understand and can use the words confidently. That’s about 90 seconds per vocabulary word, so it’s pretty quick. Grammar & Sentence Structure Words. Unfortunately, many words are much more complicated to learn. They may have multiple meanings, can’t be translated directly or can’t be associated with simple images. In order to learn these words, we often need explanations and a whole lot of examples in context. Believe it or not, the English word “set” has the Guinness World Record for the word with the most meanings. There’s a total of 430 senses listed in the Second Edition of the Oxford English Dictionary. The word needs 60,000 words to fully define it. Incredible, isn’t it? Obviously, you can’t possibly learn such a word by reading the dictionary, you will need to hear it over and over in different context. This shows the importance of surrounding yourself in the language as much as possible. Fortunately, most words are not nearly as complicated. They can take a bit more time to learn, but they’re often incredibly powerful, so they’re worth the extra effort. 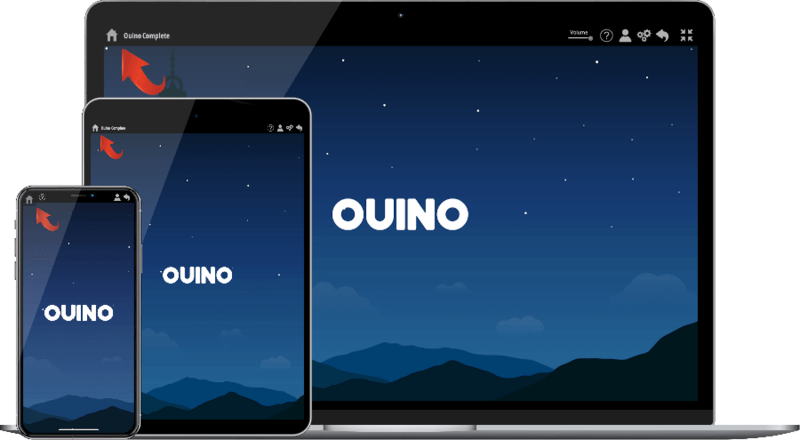 Many of these important words are covered in the “Building Blocks” section of Ouino. Verbs are difficult to count into specific individual words because each verb comes with a whole series of variations. Is the verb “eat” a different word than “eating” or “eaten”? What about “am”, “are” and “was”? They sure seem very different. Conjugations may not be words per se, but they are one of the most important things you will learn. 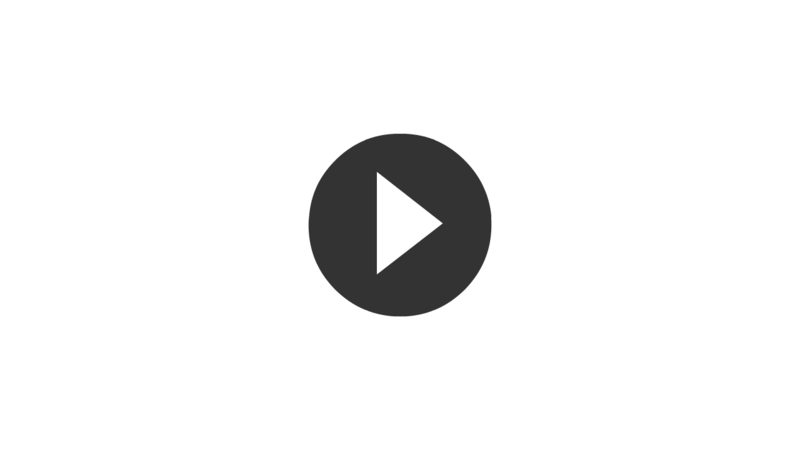 Learning how to conjugate regular verbs will allow you to instantly know hundreds of new words. It’s important to understand that learning a language is not only about learning a certain number of words. Sometimes, it’s valuable to understand a concept. An endings lesson in Ouino can take 10-15 minutes to receive the Fluency Award. Now, that’s time well-spent. That’s yet another complicated aspect to consider. Do you know a word when you can understand it by reading? What if you understand it in a fast conversation? Or do you only truly know it when you can use it for yourself without thinking? If I tell you that the word for “apple” in French is “pomme“, do you now know the word? Of course not! The truth is that you’ll likely forget it very quickly if it’s not reinforced. Perhaps the question should be: how long will it take for the word “pomme” to become as strong as the word “apple”? The English word is like a huge tree with deep roots in your mind and the French word is like a tiny seed that you just planted. At the end of a lesson in Ouino for example, you will have learned the word and interacted with it in a few different ways. The seed is healthy and anchored. However, the words are still fragile in your mind and the fact is that if you learn new words and never see, hear or use them ever again, they will fade away with time. No matter what techniques you used to learn them. But if you are constantly exposed to the language in many ways, the words will naturally get stronger and stronger over time. Forgetting is a natural thing and you should not worry about it. The words you learn are somewhere in your brain even though they are not easily accessible. With practice, words will come back to the surface and gain strength when you see it again in a new lesson, a TV show, a book or anywhere else. The trick is to plant good strong seeds, water them and give them a good amount of sun exposure, and watch that garden flourish. So how many words can you learn each day? Mmm…I don’t really know, but I’ve got to take care of my German garden, it needs a few more seeds and sun exposure, it’s starting to look really good.